On 27 October 2013, the Ngok Dinka community in the disputed Abyei region of Sudan held a unilateral vote to determine whether Abyei would remain part of Sudan or join South Sudan. The African Union (AU) strongly condemned the referendum as ‘unacceptable and irresponsible’. The AU maintained that the referendum violated AU Peace and Security Council (PSC) decisions and could further complicate the search for a common solution based on the framework of existing commitments, given that the issue of voter eligibility had not yet been resolved. Just before the vote, United Nations Security Council (UNSC) members had expressed ‘grave concern’ about the extremely unstable situation in Abyei, saying the referendum could fuel tensions between Sudan and South Sudan and hamper a solution to the border disputes in the area. The Misseriya, a largely nomadic tribe in western Sudan who use Abyei seasonally for grazing, have in turn threatened to hold their own referendum. What does this mean for the AU’s ability to mediate in the region? With South Sudan’s independence from the north in 2011 came questions over the status of Abyei, as it is located on the border between Sudan and South Sudan. The Comprehensive Peace Agreement (CPA), signed between Sudan’s ruling National Congress Party (NCP) and the Sudan People’s Liberation Movement (SPLM) in 2005, made provision for Abyei’s status to be established. 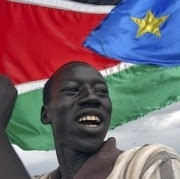 Two simultaneous self-determination referendums would be held in South Sudan and Abyei in 2011. The preceding ‘Protocol on the resolution of Abyei conflict’, signed on 26 May 2004, had also made similar provisions. However, the Abyei vote planned for January 2011 failed to materialise following a lack of consensus between Khartoum and Juba on who qualified to vote. In April 2012, the PSC adopted a road map aimed at resolving differences between Sudan and South Sudan, including the ‘final status’ of Abyei. According to the road map, if the negotiating actors still failed to reach consensus, the AU High-Level Implementation Panel (AUHIP) would formulate a proposal that would then be authorised by the PSC as an ultimate and compulsory resolution. The AUHIP proposal on the Final Status of the Abyei Area (published on 21 September 2012) made provision for a referendum in October 2013, but once again it proved impossible to get the buy-in of both governments. The AU has not yet picked a new date for the Abyei referendum. The two documents exclude the Misseriya from voting due to their largely nomadic and seasonal use of the Abyei region, although the AUHIP proposal allows them continued use of the area for cattle grazing. Some claim that including the Misseriya will unfairly bias the vote towards unity, in favour of the more developed Sudan. Owing to challenges related to decision-making, consensus and mutual compromise on issues between Sudan and South Sudan, it has not been easy for the AUHIP to come up with a balanced proposal that satisfies both the Dinka and the Misseriya, or for the PSC to initiate the implementation of recommendations made by the AUHIP. This situation has frustrated the Dinka residents of Abyei to the point of arranging their own referendum. In defending their decision following its condemnation by Khartoum, Juba, the Misseriya, the AU and the United Nations (UN), Abyei leaders stated that the AU’s inaction had compelled them to hold a unilateral vote. The Abyei Referendum High Committee reported that well over 99% of participants had voted in favour of South Sudan in the three-day referendum, with only 12 out of a total of 64 775 voters choosing Sudan. With a Dinka majority in Abyei, it was unsurprising that the referendum outcome was overwhelmingly in favour of joining South Sudan. By not waiting for the conclusion of the ongoing AUHIP process, holding a referendum suggests a sense of despair among the Dinka that the two Sudans will ever reach an agreement. On the one hand, despite challenges on the ground, the AU – as one of the leading actors seeking to explore solutions to the challenges in the area – has been criticized for ‘inaction’. On the other hand, the delays in Abyei are a result of Khartoum and Juba’s failure to come to an agreement, and neither the PSC nor AUHIP has adequate leverage, or so-called ‘carrots and sticks’, over the real actors behind the Abyei standoff. A referendum in Abyei is possible, but Sudan and South Sudan need to negotiate in good faith, particularly with the view to settle existing border issues, making use of the AU and other actors such as the UN Interim Security Force for Abyei (UNISFA). For its part, the AU should continue to uphold its commitments through assertive leadership and not be seen to be neglecting the issue of Abyei at the PSC level. Although it is a lengthy process and difficult in practice, securing a mutually beneficial deal in Abyei requires intensified mediation efforts and a push for a resolution, especially on the issue of voter eligibility. However, holding a referendum prior to agreement on such issues could trigger instability and must be undertaken with care. The AU should push for inclusive grassroots level dialogues that adequately represent all communities involved, and agreements and recommendations should be integrated into high-level approaches. The AU also needs to identify points of leverage and stress mutually beneficial outcomes to enhance its mediation efforts. This should increase the chances that agreements are finalised and respected, and emphasize the importance of a mutually beneficial outcome for Sudan and South Sudan. It is only through strong commitment to the process, inclusive dialogue and an innovative use of incentives on the part of the two governments that agreement can be reached.